Does your organization seem to lack interest in GIS? Are you frequently left out of discussions about how GIS can play a vital role in a project or system interface? Is your team being asked for GIS assistance midproject? Do you have to keep explaining the purpose of GIS to others in your organization, frequently pointing out that it is more than a cartography tool? If you answer yes to any of these questions, your GIS program is suffering from lack of relevance. The good news is, you’re not alone. Over a period of four months, I polled GIS managers through LinkedIn and my MuniGovGuy.com email subscription list about their biggest GIS challenges, and lack of relevance ranked high among the responses. Lack of relevance usually results from having executive management that is uninformed about GIS technology and, therefore, can’t explain the merits of GIS to their business peers. GIS can also suffer from a dearth of awareness when the GIS team is ineffective at marketing its services. There’s no immunity to this issue, as it can happen to small or large GIS programs. The one-person, multi-hat-wearing GIS organization can get buried in endless mapping requests and never be able to explore new technologies or promote alternative mapping options, while large organizations can be subject to managerial changes and lose GIS champions, reducing the sphere of influence around the technology and ultimately resulting in loss of funding. To help you revamp the relevance of GIS within your organization, I have come up with a four-step framework that refocuses your vision and makes executive management more conscious of everything you and your team can do. With a foundation like this in place, that leaves your GIS team open to building its arsenal of GIS techniques and solutions that become invaluable to your organization. So listen to and learn about business processes and workflows, and then, using the business language of your organization, propose how GIS can help. Don’t forget to celebrate the small successes, and give credit to your staff for a job well done. Show that you have a plan to take your organization from point A to point B. Perform a GIS needs assessment for your entire organization and take the knowledge you gained in building your team’s foundation to develop a strategic plan for instituting and maintaining an enterprise GIS. Get the strategic plan approved by executive management and reference it often when determining which projects to work on and to justify the procurement of project resources. Revise and update the plan annually, given that projects get completed and technology changes. Using your strategic vision, identify GIS solutions that solve a business problem or impart spatial perspectives to tabular data. The power of spatial analysis and the ability to quickly automate solutions that provide accurate and reproducible results will spawn dependency on GIS technology throughout the organization. The ultimate dependency, however, comes when GIS interfaces with another enterprise business system such as computer-aided dispatch, a permit system, or an outage management system. This is the surest way to increase your organization’s return on investment in GIS. It also ensures continued funding for GIS, since the GIS will need to be maintained to uphold the business system interface. Thus, always be on the lookout for opportunities to integrate GIS. And be sure that your GIS program can handle the requirements for operating and sustaining any interfaces. Present at executive meetings: Build on the momentum of your successes and offer to share a GIS vision update at the next executive meeting. Devise a GIS steering committee: If one doesn’t already exist, create a GIS steering committee with directors and/or managers. Use this opportunity to get in front of the decision makers and provide status updates, demonstrations, strategy ideas, and support, in addition to soliciting feedback. Have a consistent meeting schedule, and book the gatherings far enough in advance to ensure good attendance. Conduct in-house training: On-site instruction can include how to make and use enterprise GIS apps, general GIS tutorials, and learning basic concepts to spur healthy discussions about where in the organization GIS can have an impact. Reach out to GIS vendors for help in providing a presentation on specific GIS-related topics. Participate in GIS Day: This event comes around every year on the third Wednesday of November. GIS Day is an opportunity to reach out to everyone in your organization and showcase GIS. You’ll be amazed at how many coworkers will say they never knew GIS could do everything it does. In my experience, that single day generates scores of project ideas. Increasing awareness of GIS in your organization is imperative for your GIS program and team. Putting in consistent effort to build a foundation, create a vision, construct dependencies, and market your GIS services will move the needle of relevance in the positive direction. And that will engender a successful GIS program. Toby Soto is the GIS manager for the City of Riverside, California. He is also the editor of MuniGovGuy.com, which focuses on GIS strategies and technologies, as well as techniques to advance GIS in local government. Soto has spent 25 years working in IT in local government and is recognized as a leader in his field. He has a proven track record of successful system implementations and GIS integrations that save money, make staff members more efficient, provide additional services to citizens, and open up data for transparency. For more information, email Soto or find him on Twitter at @munigovguy. 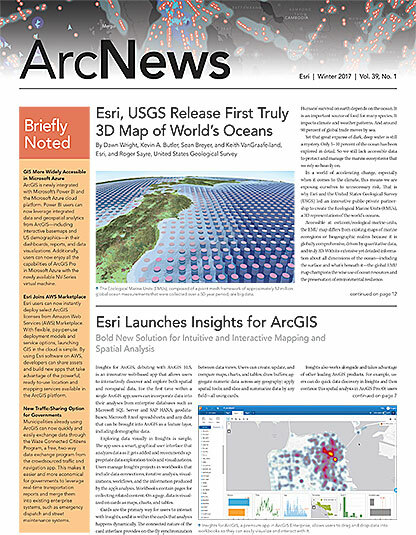 Read other articles in the “Managing GIS” series.